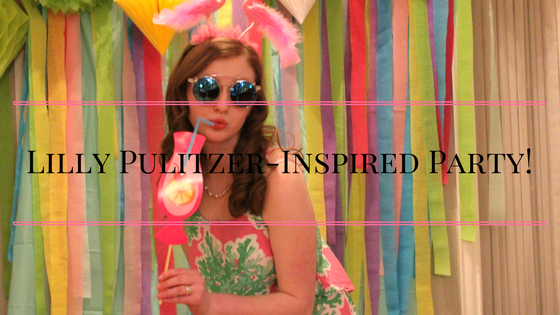 Life as Pink Einstein | Dallas Fashion and Lifestyle Blogger: Lilly Pulitzer-Inspired Party! This is part 2 of my birthday recap! You can click here to view the first part. Today I am sharing pictures from my Lilly Pulitzer themed party! 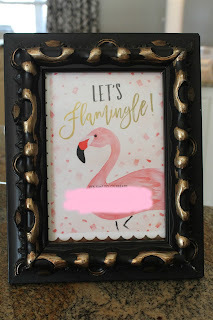 One of the activities at my party was decorating picture frames to put our photo booth pictures in. I set out all of the supplies on the bar and made it look really cute. We found a ton of fun resort/beach themed supplies at Hobby Lobby. As I said in my last birthday post, my mom loves cute party supplies so she has the wire basket that I put all of the plates and napkins in. In my craft bin I found green and pink whale ribbon and I tied that around it too. At the party supply store we found this pineapple table decor which was super cute as decoration and in pictures. I am in love with these napkins! The other activity we had at the party was decorating dress cookies. These cookies were perfect for decorating. This is the dress I wore. It isn't Lilly Pulitzer but it's from Crown and Ivy and they have cute patterns like Lilly but at a better price. You can find the brand at Belk. These were the photo booth props. We put all of the food on the bar and put up a birthday banner. This was my adorable cake! My mom made fun snacks including pineapple spread on these little slices of bread, tortilla roll ups that were so good, and we set out goldfish and peanuts. The party was from 3 to 6 so we didn't really eat a real meal, just snacks. 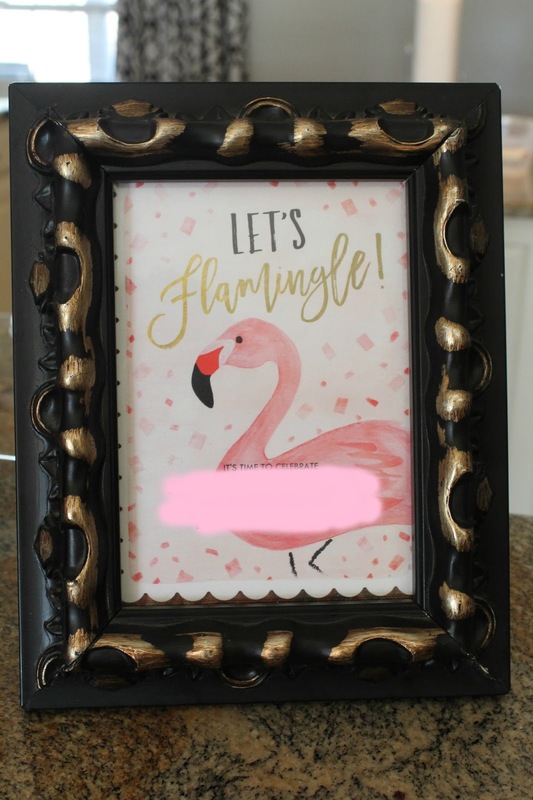 My invitations came in only a couple of days before my party so I didn't get to send them out so we put one in a picture frame to be cute. We got these from Shutterfly. I hung up my Jadelynn Brooke flag as decor. We took tons of cute pictures at the party and I'm going to print them out and give them to my friends to put in their picture frames. I made a couple of the photo booth props including the one I'm holding which says "it all started with a juice stand" which is a Lilly Pulitzer saying. I made another that says "every day should feel this good" which is a Vineyard Vines saying. Use the code SLMHS17 to get 15% off at Jadelynn Brooke! Cookie decorating! I made the icing my self so I could get the colors I wanted and it was a little bit runny until it hardened so it made it a little hard to decorate the cookies. This is one of McCray's cookies. This is my little sister's. She said she was decorating hers to look like an ugly prom dress and she definitely succeeded! This is one of Sarah's before she finished it. These were all of Sarah's cookies! How adorable! And these two were mine! Thank you so much for reading! If you enjoyed it I would appreciate if you hit the Like button at the end of this post.